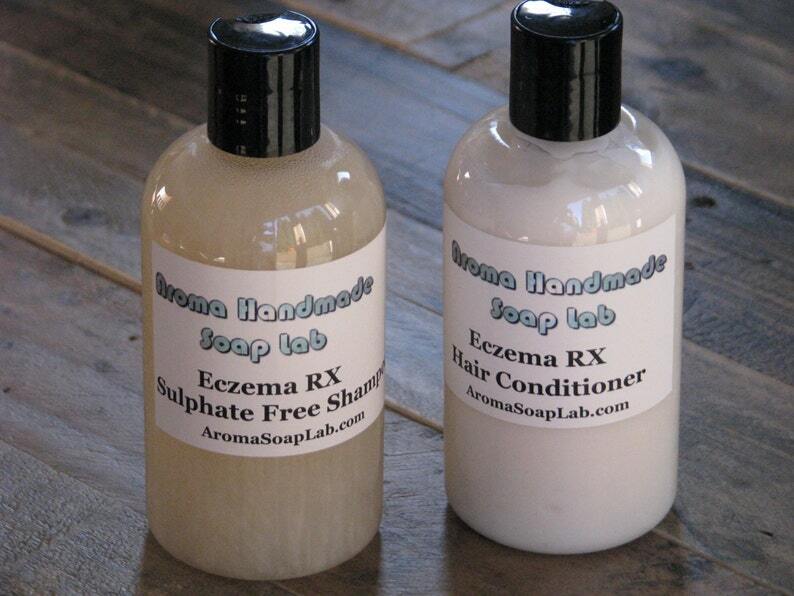 Same tried & true therapeutic Essential oil blend as my Eczema RX goats milk soap & Shea body butter. Rich, nutritious sulphate free plant based ingredients gently cleanse & nourish your hair. Creates smooth hair full of health & radiance in Harmony with nature. Restore smooth lively hair in an easy 3 minute Treatment. Plant based formula brings your hair & scalp into balance with nature. Balancing oil production & normalizing both dry & oily hair. Ingredients: water, Olive Oil, Grape seed oil, sorbitan Laurate, cetyl alcohol, behentrimonium chloride, Cocamidopropyl betaine, pathenol, hydrolyzed rice Protein, citric acid, lactic acid, ascorbic acid, potassium sorbate.